IT or digital capability on your Board or governing group (Part 3). The how. Considering what options you have in order to add more IT or digital capability to your board? Great! If you haven’t had a chance, read our earlier article describing what capabilities you might need, and whether they might be a priority for your organisation/s. We also introduce the difference between the general IT skills and specialist skills of interest to Board Directors. Here, we define four approaches you can take for adding the capabilities you’ve identified. None of them are mutually exclusive so you should mix and match them to suit. At times, multiple approaches may be necessary, as it may not be possible to have one person or one way that provides the right capabilities now and into the future. 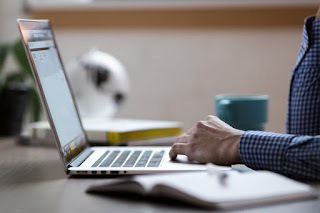 Some of these are better suited to building the general skills introduced in our last article, and some are more relevant to the specific or transient topics that can come and go in prominence from time to time. The first option to consider is hiring Directors with the Digital/ICT capability who can inject their unique perspectives into your Boardroom. As covered in our first article, this should not be at the cost of the corporate governance skills that all of your Directors should have. You should focus firstly on the general IT/digital skills listed in our last article. If you feel you have these covered, then you could also consider specialist IT skills that your organisation will be focusing on over the coming years. The benefit of hiring is that there is no better learning than on the job learning. So having someone with good IT/digital skills can bring insights and perspectives that can help your entire Board to lift their own capabilities in this area. If you choose well, you may get someone willing to spend some time outside of the boardroom with your other Directors, to accelerate their learning. This is a good step to building long term capability in your Boardroom. Remember though, that depending on your Board culture, and the size of your Board, having one person on their own to quickly change the perspective of your Board, may be asking too much. The next option is the active development of your existing skills. There are multiple ways of doing this. On the job learning is one way through increased dialogue and discussion at the Board table, and increased discussion and information papers or presentations from the executive team. As already mentioned, having Directors with more IT/digital savviness can help uplift everyone, either through Board discussions or discussions outside the Boardroom. Additionally, there are significant opportunities for external training and education. The AICD is one such body with increasing amounts of IT/digital education for Directors. Another option is coaching and mentoring for some Directors. If you have strong skills on your Executive team then building opportunities for high value contact time between specific Directors and Executive can be helpful. Skills development should be adopted by all Directors, as part of their continuous learning. And there is no better area to invest time than in IT/digital, given its changing landscape. The third option is to extend the Board’s consideration of important or challenging matters through Board Committees or Advisory Boards. This will be organisation specific, as one topic could be challenging for one organisation, but easy to deal with for a different organisation. This approach gives you flexibility to involve Directors (due to their special knowledge or interest, or to support their growth), Executive (due to their role, special knowledge, or to support their growth) and external advisors or experts. Sometimes Boards may use Committees or Advisory Boards to assess candidates for future Board vacancies. For those Directors or Chairs concerned about whether bringing in IT/digital skills means sacrificing basic corporate governance skills, then this could be a good testing ground. Does your Risk Management/Audit Committees also cover Security/Privacy? How would this change the operation, make-up, reporting? Does your Nominations/Remuneration Committees also cover IT/digital skill needs and recruitment/retention strategies? Have you got the skills on that committee to understand current and emerging needs in this area? The final option to consider is consultancy or advisory input. This could be used to accelerate the improvement in general IT/digital skills across the Board. It could also be used for specific topics that may be of interest from time to time. It could take the form of research and discussion papers, presentations, hosted discussions, and guest presentations. Mark Nicholls is the Managing Director and a Partner with Information Professionals Group (IPG). 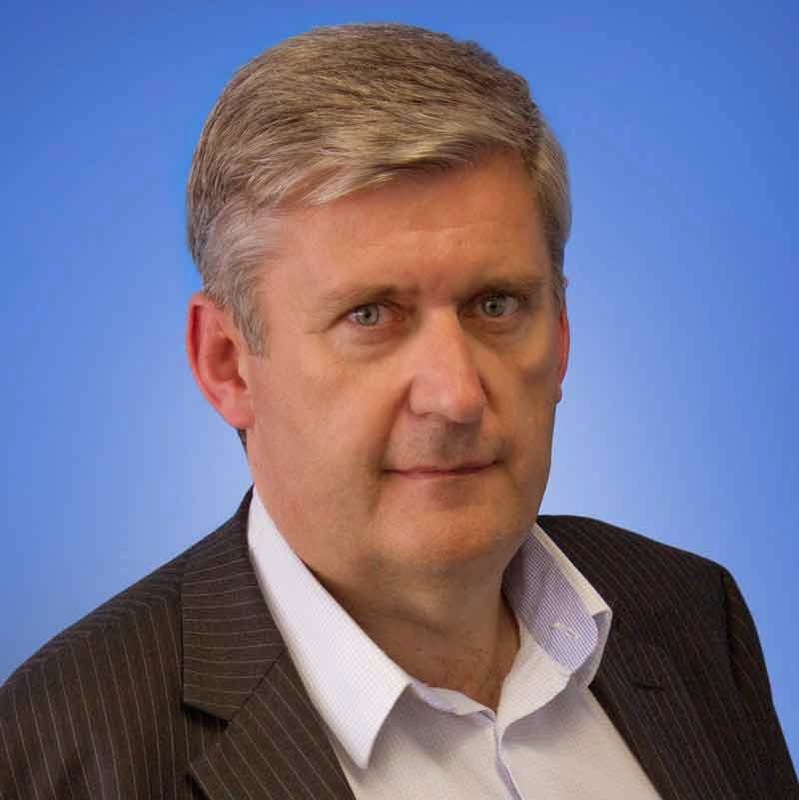 He formed IPG in 2005, after a career of delivering software development and business transformation programs in the telecommunications, transport and government sectors in Australia and overseas including the United States. Mark leads IPG’s Programs, Projects and Change Practice. He is a highly skilled program manager and adviser, specialised in leading, managing and advising organisations on the delivery of ICT, digital and business transformation. An active industry participant, Mark was elected to the QLD Council of the Australian Information Industries Association (AIIA) in 2013, was appointed as Chair in 2014 and to the Board of Directors in 2015. Mark is the inaugural Chair of the Qld Digital Economy Industry Collaboration Group, involving a range of industry groups that are supporting their constituents in the adoption of digital business. IT or digital capability on your Board or governing group (Part 2). What capabilities? If you accept the need to improve the IT/digital capability on your Board or governing group (see our last blog) then a reasonable question is, what skills are required? This article is unlikely to completely answer this question for your organisation, as all organisations are unique, but it aims to give you some prompts and guidance to assist. Firstly, we’ll consider your organisation, then the range of skills in IT/digital. In considering your organisation, a good place to start is the Tricker Model. It is one of many lenses you can use to determine where your Board priorities are and therefore where your skill priorities may be in relation to IT/digital. Other areas to consider include your corporate strategy and corporate risk register. 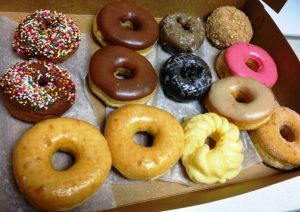 These may provide guidance on where your priorities are. You may also want to consider the confidence you have in various skills across your Executive team. In considering what the range of IT/digital skills are, let’s unpack this IT/digital term. As demonstrated, often when the term ‘IT’ is used, it is in the context of internal organisational capability. Likewise, when the term ‘digital’ is used it is often in the context of how an organisation relates externally to its customers, competitors, suppliers and the broader ecosystem in which an organisation operates. Of course the two are related, as it will be challenging to adopt digital externally unless you have the capability internally to deliver. Capability – the ability to deliver to the organisation’s needs, leveraging internal and/or external capabilities across infrastructure, security, technology, applications, data, business process and all other domains. Digital economy – to widen the scope of influence to the extended value chain and communities in which an organisation operates, and drive digital across this wider group. How well informed are you and your Board in understanding your current and target state for each of the above areas of ICT and digital? Each of these themes will have varying degrees of interest to all organisations and will feature in some form, for many years ahead. Therefore, it will be prudent to consider how savvy your Board is in being able to properly enquire on, consider and discuss them. What is most important about these themes is that they can be applied to many specific technologies that you may be encountering now and in the future. These specific topics and others may come and go in prominence for your organisation over time. If any of these (or other areas) are a priority for your organisation, then please consider how well informed your Board is. 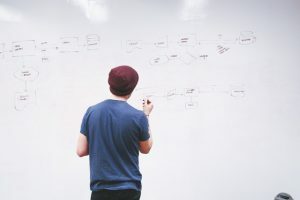 However just because there is a focus on, for example, cloud or machine learning, in your current strategy, it may not warrant bringing on a Director with knowledge in these specific areas. There are multiple ways of ensuring your Board is well equipped to oversee its responsibilities in relation to IT and digital. In our next blog we’ll discuss what they are and how you can apply them. Mark Nicholls is the Managing Director and a Partner with Information Professionals Group (IPG). He formed IPG in 2005, after a career of delivering software development and business transformation programs in the telecommunications, transport and government sectors in Australia and overseas including the United States. Mark leads IPG’s Programs, Projects and Change Practice. He is a highly skilled program manager and adviser, specialised in leading, managing and advising organisations on the delivery of ICT, digital and business transformation. Mark is an active industry participant. 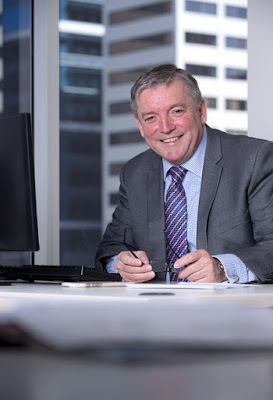 In 2013 he was elected to the QLD Council of the Australian Information Industries Association (AIIA), was appointed as Chair in 2014 and to the Board of Directors in 2015. IT or digital capability on your Board or governing group. Do you need it? Why? 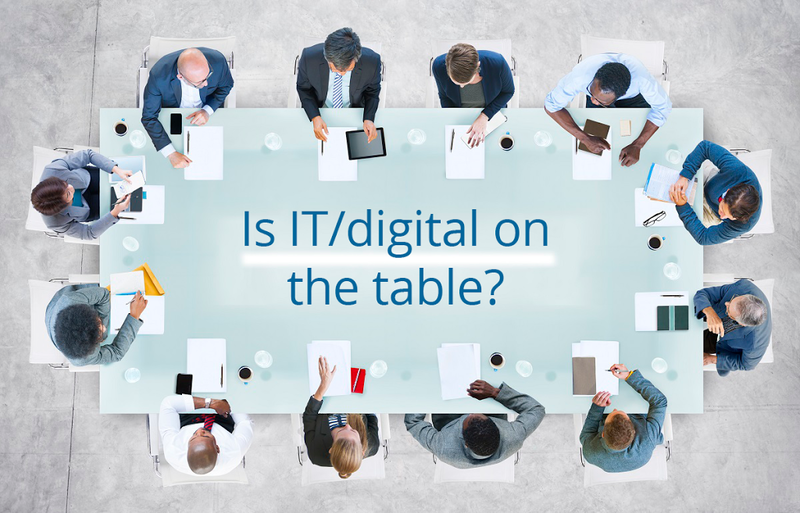 Considering whether you need information technology (IT) or digital capability on your Board? Then the first question to ask yourself is why. It’s interesting how views have changed in just a few years. 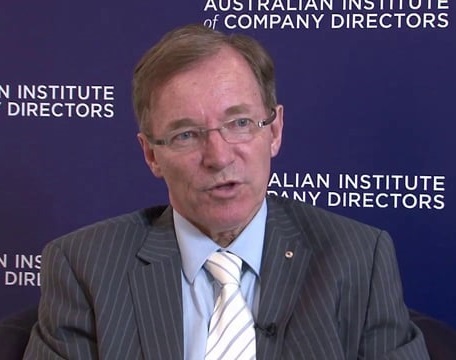 Take the Australian Institute of Company Directors (AICD) over the past five years. Each year, the AICD runs their Essential Director briefing and produces the Essential Director Handbook. This is a useful gauge of where the peak body sees the role of IT/digital. When presenting the 2013 Essential Director briefing, at the Wesley Conference Centre in Sydney, Alan Cameron said: “IT is now such a critical issue that failure to monitor and govern it properly is likely to be a failure of the director’s basic duty of care and diligence”. He reflected on his own perspectives, stating that when the Essential Director handbook was first drafted, he considered removing the IT matters from it. On further consideration, he accepted that many IT issues confront all directors, not just those of IT organisations. In this past year, the % seems to have plateaued. However, I will be interested to see where it lands in 2017 given the increased focus on digital both as a disruptor and an opportunity. 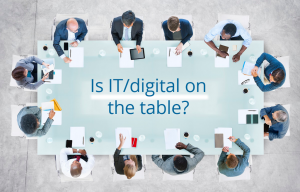 It is certainly now clear that IT/digital is firmly a key issue that should be continually addressed as part of a Board’s governance and strategy role. However, one objection has been stated by some very experienced Directors. It is that bringing in “special” skills like IT onto a Board comes at the cost of “traditional” skills, like being able to read financials or understand risks. In my opinion, this view is a little misplaced for a few reasons. Firstly, it sounds like they may have experienced a less than optimal Director appointment process. Perhaps there was a requirement to populate the Board with only a relatively narrow range of capabilities and without sufficient diversity. That can happen. Not having the minimum mandatory skills to be a Board member should never be sacrificed, and shouldn’t have to be. However, the ideal Board composition should contain enough diversity of skills and backgrounds to adequately address all the challenges that the organisation faces, and of course this should include IT. There are many capable people out there that have the basic competency requirements as well as that of ICT/digital. Secondly, there is an error in thinking that an understanding and appreciation of IT/digital is a specialist skill. It is not. It is a new general skill for all managers and directors. I am old enough to remember a time when some senior executives and managers had trouble reading a set of financial statements, leaving such an understanding to the “bean counters”. These days this attitude would be rare. Today, financial literacy is an accepted general skill. I would argue that the same evolution is underway with IT/digital. Each of these are leaders in a marketplace that used to be a physical marketplace, that is now largely a digital marketplace and they have leading IT capability to support them. If you accept the need for improved managed IT services capability on your Board, then the next question is, in which areas and how. There are a few methods that are available to you to make these determinations. We’ll cover that in an upcoming blog. About the Author: Mark Nicholls is the Managing Director and a Partner with Information Professionals Group (IPG). He formed IPG in 2005, after a career of delivering software development and business transformation programs in the telecommunications, transport and government sectors in Australia and overseas including the United States. Mark leads IPG’s Programs, Projects and Change Practice. He is a highly skilled program manager and adviser, specialised in leading, managing and advising organisations on the delivery of ICT, digital and business transformation. Is there a legacy to inherit or is it Greenfield? Will we be a service provider? A service broker? A smart buyer? Or a mixture of each? Will we do IT ourselves or get someone else to do IT for us? Which bits? What will be our customer value proposition? How will we stay relevant? 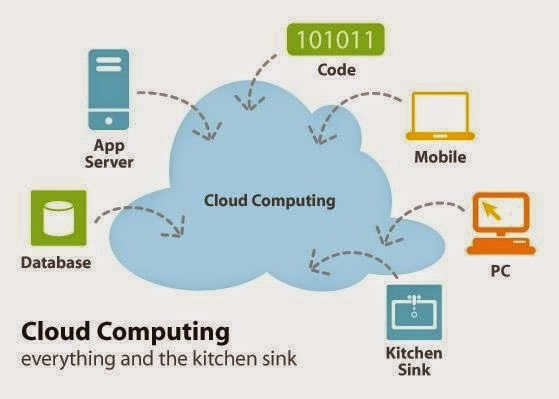 Will we be on premise or in the cloud? In full or in part? What capabilities will we need? Where are the gaps? That’s a lot of questions and I’m only scratching the surface! So let’s take the opportunity to explore some of these issues and also some of the tools that might help us answer the questions. We’ll also consider IT operating models and industry frameworks and standards in an attempt to shine some light on the topic. 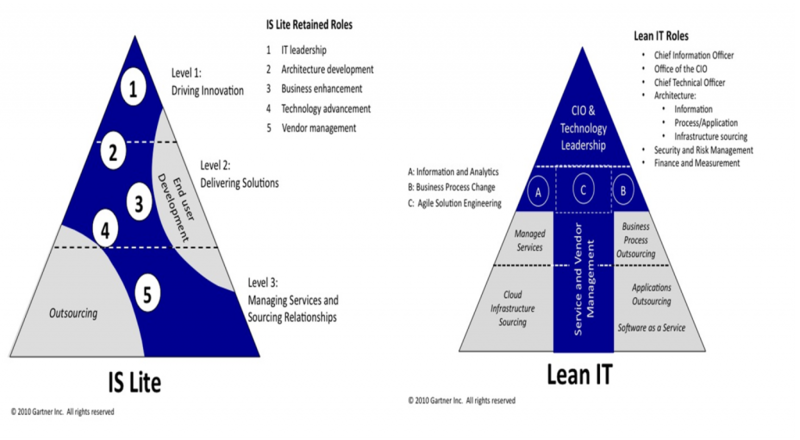 Contemplating an IT operating model? When it comes to ICT management there appears to have been recent interest in filling the apparent void of IT standards and practices. 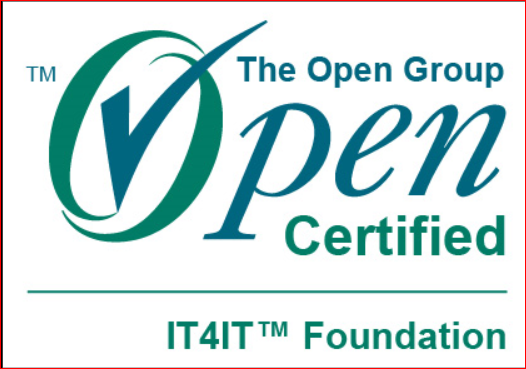 For many who thought that the established frameworks such as COBIT® (by ISACA), TOGAF® (by The Open Group) and ITIL® (by Axelos), already filled that void, the news may come as a bit of a shock. The most notable new kids on the block include IT4ITTM (the recent offering from The Open Group) and Technology Business Management (TBM) headed by the TBM Council. In addition let’s throw into the mix a commercial take on ‘Enabling IT as a Service’ from a major IT service provider. These new players seem to be concerned mostly with managing the business of IT or running IT as a business. Equally, both seem to be focused on emphasising the value of IT and showcase progressive approaches to IT such as brokering services, cloud, IT as a Service, DevOps etc. Both approaches are also ‘data-driven’ which resonates with me from my days in the eighties with LBMS in London who took a data-driven approach to its SSADM and LSDM development methodologies. Both approaches are agile-friendly. Whilst other methods and frameworks have introduced standards for many of the processes in IT, (enterprise architecture, strategic alignment and governance, security, applications development, program, portfolio and project management, operations and support etc. ), it is fair to say that for too long IT Managers, CIOs and CTOs have been left to link those standards together in the best manner they can. This has revealed some gaps. The primary value streams in the IT Value Chain are underpinned by five supporting activities. IT4IT models the functions that IT performs to help organisations identify the activities that contribute to business competitiveness. Now let’s look at what TBM has to offer. TBM essentially defines the organisational elements, disciplines and value conversations of an effective TBM program. 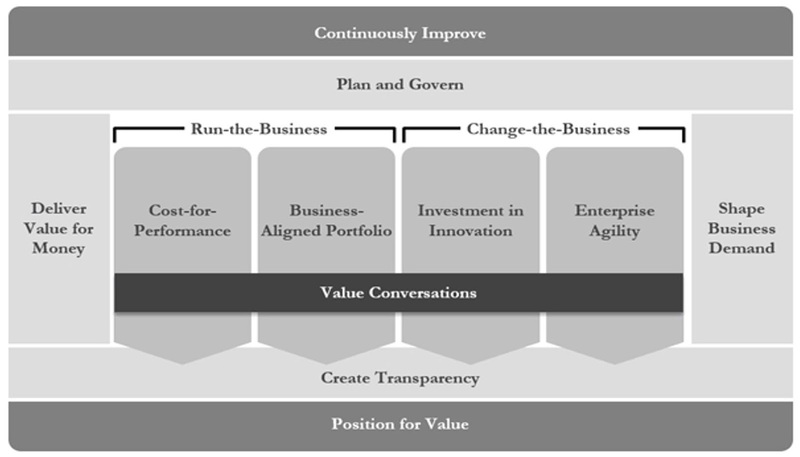 TBM uses ‘value conversations’ across all of these as well as four core disciplines – Create transparency, Deliver value for money, Shape business demand, and Plan and govern – to help run and change the business. These were certainly second nature to me as an ex-CIO. In CISCO’s white paper ‘IT Transformation with Cisco’, they describe ‘Creating an operating model that enables IT as a service’. Email me for a copy of the white paper! This diagram depicts the ‘Capabilities of a transformed IT organisation’. Most noticeable is the resemblance between the IT4ITTM Value Chain and the Cisco Capabilities Model above. This suggests some element of synergy, intentionally or otherwise. So which is the best framework? To give a practical example it’s worth referring to a presentation on ‘How Shell IT manages data to bend the cost curve’. This is a case study of TBM presented by Shell’s IT4ITTM Team on the TBM Council website. They claim to have achieved a 20% cost reduction in applications run costs. 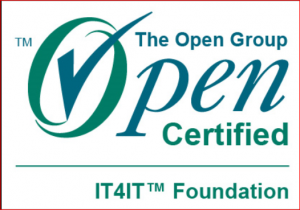 As Shell is one of the principle architects and proponents of IT4ITTM this provides a good indication of how the two approaches might complement each other. It is most likely that IT4ITTM represents a more extensive and comprehensive IT Management framework whereas TBM offers a richer coverage of specific features and disciplines. The latter would appear to be particularly true in relation to cost containment, business value and portfolio management. COBIT® v5 combined with Val IT (Business Value of IT) clearly offers additional perspective on those topics covered by TBM. The short answer is to apply the best horse to suit the course you’ve set about travelling. If you’re specifically looking at cost containment or value management initiatives then the best short term approach will most likely involve TBM. If on the other hand what you crave is end to end IT service management and execution, then IT4ITTM would provide a more prescriptive platform. Although these frameworks have been around (at least in part) over a few years, this does make them relatively immature when compared with COBIT® (v5) and TOGAF® (V9.1). At the same time, both IT4ITTM and TBM are heavily supported (and developed) by a range of significant industry leaders. Hence they are worthy of significant attention. In an industry that has long suffered the consequences of inadequate standards, it is reassuring to know that we (IT Professionals) may finally be headed towards the same standing that is enjoyed by the likes of HR and Finance practitioners. The following diagram is an example of another IT operating model. It was designed for a client to respond to the internal and external drivers in their industry. It generally reflects similar elements to the Cisco model, that is, strategy and planning, governance, IT solutions (i.e. service design and development), IT operations and client services (i.e. support). In addition, its features include Agile Development, Bimodal IT, I/S/PaaS and DevOps. Various frameworks and methodologies have been overlayed including COBIT®, TOGAF®, ITIL® and Prince2 (by Axelos). Over many years I have applied Gartner’s Lite and Lean models to assist in identifying the most appropriate allocation of capabilities to both in-house and outsourced IT organisations. This knowledge is a critical ingredient in building effective and efficient IT business models and structures. With all of these models available, the task of designing an appropriate business model for your organisations should be relatively straight forward. Moving from business model, through macro and then micro structure design, is the last step before such things as job specifications, recruitment and so on. The challenge is to try to maintain the integrity of the underlying business model when building the structure. For example, a structure based upon the four IT4ITTM value streams might well be considered. However, an alternative functional structure might better suit the particular circumstances. The level of IT4ITTM maturity may also be a factor. 1. Understand the internal and external drivers for your IT business. 2. 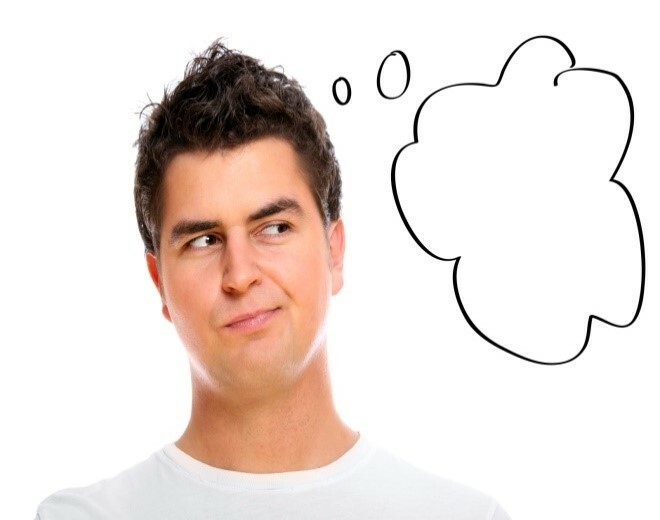 Contemplate your customer value proposition. 3. Initiate a change management process. 4. Identify your target capability profile and any gaps (See Gartner’s IS Lite and IS Lean). 5. 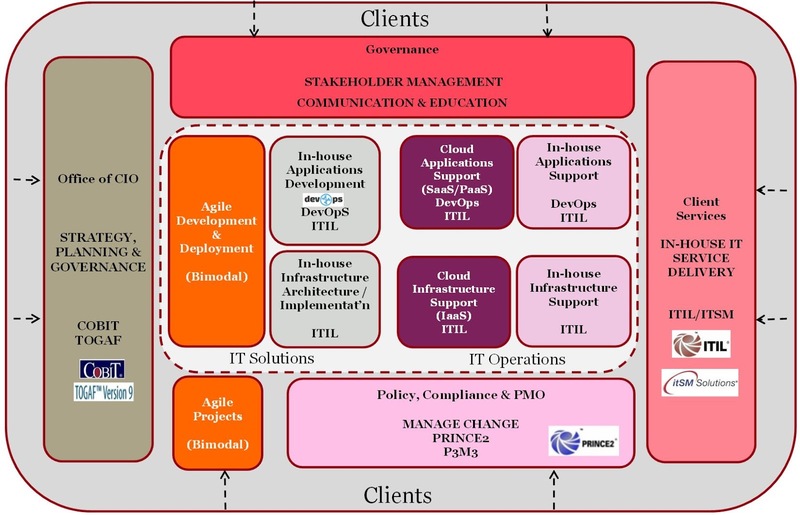 Design your IT operating model (see IT4ITTM, TBM, Cisco and Client models). 6. Design your macro and micro organisation structure. 7. Complete role descriptions, sizing etc. 8. Build your core IT team. 10. Complete the change management process. Tony Welsh is an Associate Partner with Information Professionals where he leads their Strategic ICT Practice. 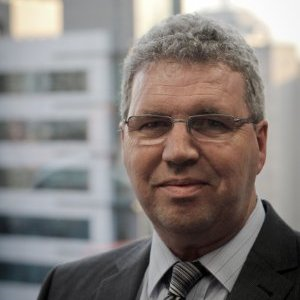 He has over 30 years’ ICT experience gained in the United Kingdom, New Zealand and Australia. Over half of that time has been spent working as a CIO for large and diverse organisations. In particular he’s been engaged in ICT strategic planning for organisations including a rural fire service, a union, a large government rail organisation and two large city councils. He led a team of consultants in developing an IT Sourcing Strategy for a large health organisation and he’s designed IT operating models and IT organisation structures for water and electricity utilities and higher education organisations. Tony is a Certified IT4ITTM Professional. Within ten years, (by 2025) the traditional internal ICT Organisation will cease to exist. The statement might seem confronting and that is quite deliberate. The alternative to confronting the issue would be to bury your head in the sand. The writing has been on the wall for ten years plus and, like the paperless office, it hasn’t yet been realised. The stark reality is that 5 years to twenty-twenty should see the bulk of it shifted with the other five years to tidy up the legacy. It is difficult to detach thinking about the future role of the CIO from that of the ICT organisation. Similarly, in order to anticipate where ICT organisations are headed, it pays to track their journey so far as a basis to predict likely scenarios in the future. So does CIO final stand for Career Is Over? This paper examines these topics. The intention of this paper is to envision a way forward that will offer a viable and realistic future for ICT practitioners in the workforce. Looking to the past has a habit of providing insight to the future. In doubting the potential extent of future change in the ICT world it is worth examining how far we’ve come. I started in ‘ICT’ or ‘Data Processing – DP’, as it was then known, in 1980, working for a building society in the UK. In those good old days we had a mainframe with centralised Apps and a network of dumb terminals (Green Screens) and if you wanted to get anything done in the business you had to ask DP. As well as vesting us with great responsibility, this also vested us with considerable power. The only suggestion of decentralised control was, I recall, over the Wang Word Processing minicomputer that would eventually replace the typing pool. The late 80s and early 90s minicomputers started to increase in popularity and it wasn’t long before the first PCs started to emerge in the corporate world. Once they got a foothold, although initially under DPs control, some elements of distributed procurement gradually started to emerge. Switch to today and consumerisation being what it now is, BYOD is now the trend. Businesses are going direct to the market to source Apps or even commissioning them through crowdsourcing and having them hosted in the cloud, often under the radar. It’s truly a very different world. ICT practitioners need to demonstrate value and relevance in order to claim their place in this new world. Often ICT organisations evolve their structures and business models in line with these trends as they seek to move up the maturity curve. It’s also true to say that they tend to reposition themselves along the business value chain. The key question is: what’s next? Gartner’s IS Lite will move from IS Lean to IS Anorexic. 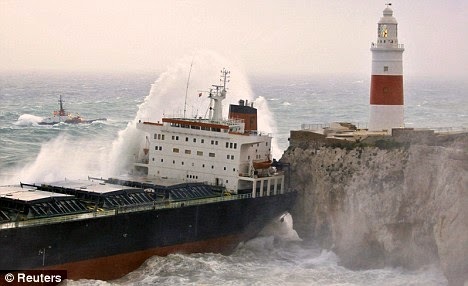 Waves of Digital Disruption will rock the ICT boat and sink it. We are likely to see the legitimisation of Shadow ICT – Mode 3? Co-design and collaboration will define the new way. Potentially we will witness the re-birth of the ‘New Age Traveler’ or ‘Cyber-Hippie’ – Anywhere, Anytime. The difference is that mobility and virtualisation have come of age and with this; another disruption has taken place. 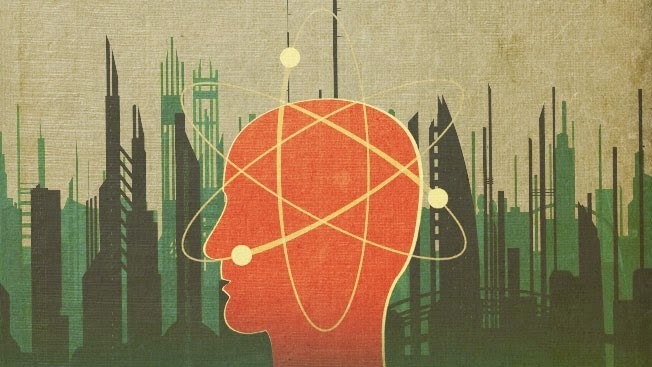 The age of the virtual CIO is here! In any event, the levels of business dissatisfaction that have plagued IT Organisations in recent years are more symptomatic of failings in the business model rather than mere failings in the IT personnel. Nevertheless, something needs to change if this situation is to be addressed. Current ICT Business Models do not and will not work for the New Age Business! Generally speaking, most have separation between strategic and governance functions and service delivery functions. Service Delivery functions generally include applications development, support and infrastructure. The service delivery functions may be in-sourced or outsourced to a greater or lesser degree with elements being hosted in the cloud. This delivery approach, and this structure, is mired by the historical experience of the people now in the Cxx roles. It does not take into account the manner in which the new blood works, or wishes to work; providing the flexibility and intercommunication between the traditional functions that is mandated by the emerging IT professionals. 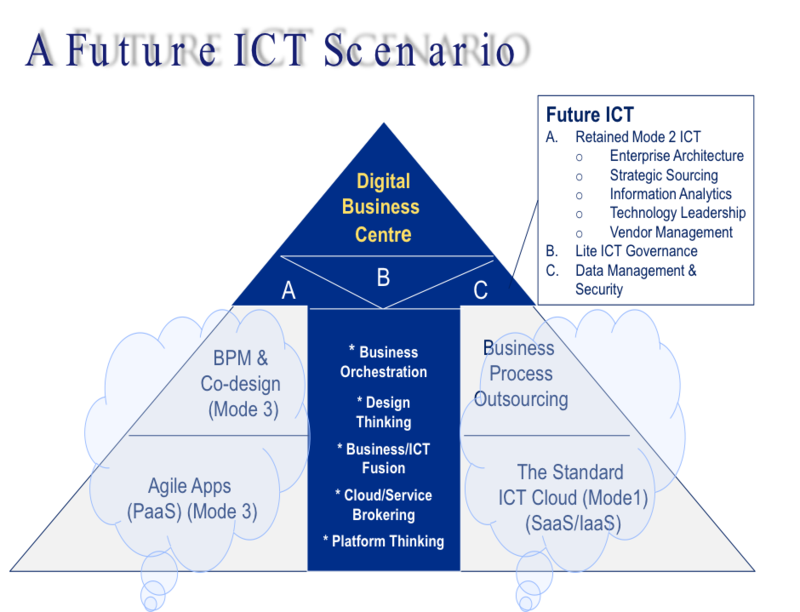 Each of these items will lead to a repositioning along the ICT Maturity Curve. These learnings will serve them well in establishing a platform for new age ICT. 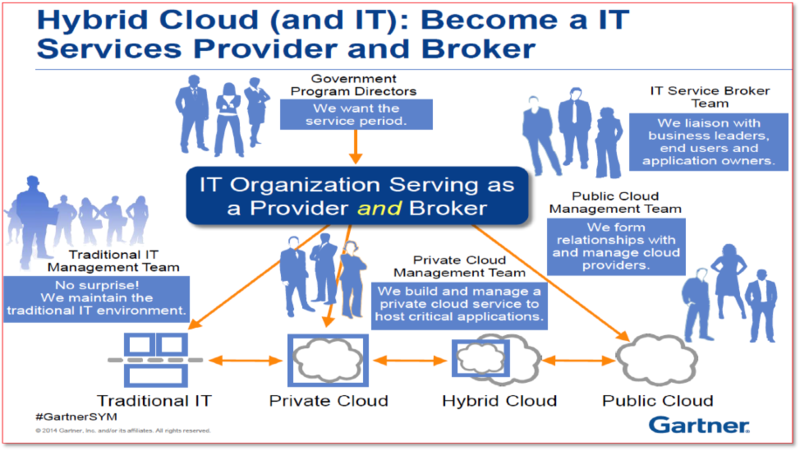 Likewise, Figure 3 below demonstrates the migration towards becoming an IT Services Provider and Broker in a Hybrid Cloud Environment. The question is how best to position ICT to contribute in this environment? The Concept of replacing the traditional ICT Organisation with a Digital Business Centre (DBC) recognises the tight interdependence between people, processes, information and technology in effecting business improvements and transformations. Indeed, it is the fusion between these components that is the essential step in the process. This exemplifies what Gartner terms the emergence of ‘Digital Business’. The model recognises the need to blend these components together within and beyond the organisation to provide a holistic view and approach to bringing about transformational change. In essence for the evolving ICT Organisation, instead of being focused on decoupling and divesting core ICT competencies, the focus shifts to redefining the core function of ICT. It brings the pointy end to the customer, and lets the customer drive, if not design the services and products. It also recognises a focus on change and transition rather than ‘Keeping the Lights on’, which becomes the domain of the standard ICT Cloud (Mode 1) operation. Here the focus remains on rigorous governance and service management and is measured and monitored against performance KPIs. For too long have organisations wrestled with the problem of trying to align business and ICT whether in terms of requirements vs solutions, resolving priorities, determining who should pay for what or simply interpreting language. These functions represent the core (mode 2) ICT elements that remain in-house although some external resources might be sourced as needed. Lite governance recognises the need for organisations to demonstrate agility in responding to market opportunities and circumstances. This is not the same as inadequate governance. It includes setting up lite governance structures, streamlining decision-making processes, allocating responsibility and accountability and maximising individual authority. It also involves governing on an exception basis. It indicates the breaking down of programs and projects into manageable sizes. Departures (i.e. choosing to leave). Changes in ways of working through co-design. The need to take on more responsibility i.e. self-serve. Marketing and selling the benefits to the various stakeholders. It is the combination of people, process, information and technology that will be the key to the success of Digital Business. As such the people factor cannot be taken for granted. The ICT Organisation is a shifting organism that morphs to suit changes its environment. The emerging way that people work and customers interact with organisations is driving a new paradigm. To optimise alignment of business and ICT, we will need to fuse the separate parts. A new ‘hybrid’ organisation should replace the more traditional ICT organisation over the next ten years, with bulk of the transition occurring over the next five years. The bulk of traditional ICT functions will be migrated to outsourcing with many of these services being provided over the cloud. New capabilities will need to be acquired by business and ICT in unison in the future. The transition should be managed as a major change initiative with a focus on delivering business benefits. The problem(s) you hope to resolve? The people to be involved and the people that will be impacted? The process should be approached in an agile way, not getting too engrossed in the detail. It should be structured but not process bound. Once each of the components has been assessed, a consolidated view should be taken in order to get the total picture and to determine the most preferable sequence of changes. 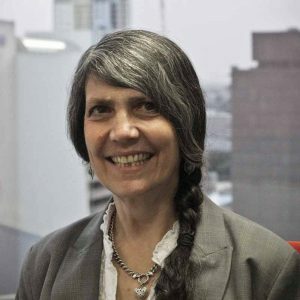 Lynn has over 25 years of professional experience, with over 10 years’ experience in executive management positions leading people and change across commercial and government organisations. 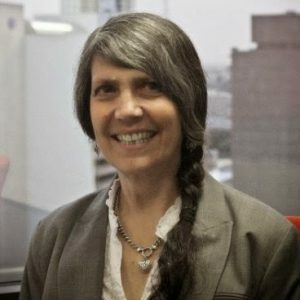 In undertaking transformation of IT and business services and initiatives, Lynn has transfigured IT organisations and their service delivery, developed and implemented IT strategies and the change programs underpinning those strategies, and managed the program delivery to make those strategies a reality. Personal, professional and team growth is a foundation upon which an organisation innovates, elaborates and expands. A key component of this process is the commitment to continuous improvement even when managing change across the organisation, and more importantly, by the people within the organisation. These actions, and the activities within each of these three actions, provide a Bakers Dozen guide to continuous improvement. ONE – Listen: Listening is the cornerstone for any improvement. Through it comes feedback on what others perceive is done well, what is not done so well, and what can be improved. TWO – Set milestones and reward yourself: To improve on what one does, it is necessary to be able to measure what is done and provide self-feedback on the success, or not, of completing those tasks. 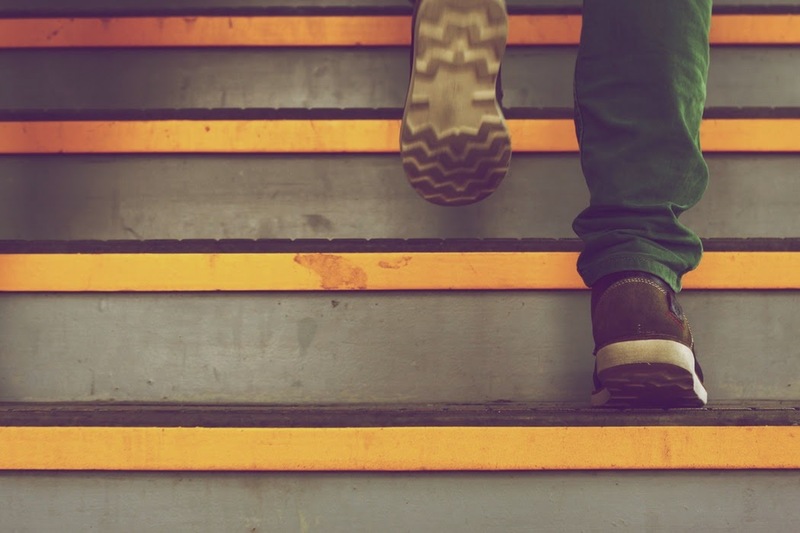 Milestones provide a clear baseline that indicates when tasks are completed or not, and provide a method by which one can deem the completion of those tasks a success. THREE – Learn when to sprint: Everyone works at a different pace. Sportspeople learn to conserve their strength for when it is crucial to have that last kick. Business people would do well to learn the same. If one works at full capacity for an extended time, the ability to “put in” when it is crucial is diminished. It is important to learn how to muster ones energies. FOUR – Clean your space: Although some believe that a messy work area is conducive to creativity, studies show this is just not the case. A tidy work area, where things come easily to hand, will help you work better and more efficiently. FIVE – Close the feedback loop: As with listening, once feedback is received, it is important to close the loop, providing a response to the feedback that was received – either through actions or words. This can better one’s performance and the perceptions of those around a person. SIX – Plan and prioritise: Planning puts in place the framework for performance. By putting ones efforts into the most important activity first, it improves ones performance. SEVEN – Run a better meeting: Estimates on the time people spend in meetings range from 25% to 80%. To run a better meeting improves everyone’s performance. EIGHT – Know yourself: One often over estimates or underestimates the time needed to complete a task. By understanding ones’ bias, then the probability of meeting timeframes and delivering as expected will improve. NINE – Do one thing at a time: There is a theory that multi-tasking is a skill which is easy to develop and necessary as part of the business world. However, as with a messy/tidy desk, the research does not support this assumption. There are very strong indications that a minority of people can actually multi-task effectively. For most people, it is inefficient, as the process of putting down one task and picking up another requires re-orientation that wastes any time that may have been saved by trying to do more than one task at a time. TEN – Read something new: To continue to improve ones’ performance, one needs to expand ones knowledge and experience base. An easy way to do this is to read something new, or see something new, or experience a new thing. ELEVEN – Ask a question: To grow, one needs to be challenged. One of the easiest techniques to challenge ones position, and to create a new position, is to ask a question. TWELVE – Get out of the office: A response to a situation, a person, or a problem is often constrained by the environment. Stepping out of that environment, be it the office, the home office, or the home, can create an entirely new environment and a new mind set for looking at an opportunity or a problem. THIRTEEN – Stay healthy: As passé as the saying “healthy body health mind” is, there is much truth in it. Keeping an active and healthy body improves the health and quality of the mind. A healthy mind can lead to a creative mental life. There are obviously more than 13 points to continuously improve ones’ performance, and different ways and methods for consolidating these points to best suit each individual. These 13 points may provide ideas for continuously improving ones’ personal performance, that of the company one works for, and the people with whom one works. Are there any missing that are important to you? 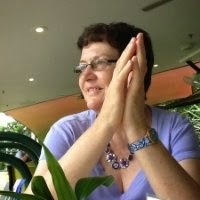 Written by: Lynn Kincade – General Manager, Managing Consultant, Programs Projects Change Practice. Creating the ultimate digital proposition for a city. The Ultimate Digital Proposition (UDP) portrays a destination such as a city as an integrated digital productivity hub, one with a thriving digital economy where digital businesses can start and thrive, intellectual property is developed and products are brought to market. As a result, the city develops an international reputation, not only as a place where people want to live and work, but as a centre for global digital leadership, attracting talent and investment from all over the world. Governments recognise that the digital economy is now too big to ignore and that digital technologies are critical enablers of innovation and productivity. It will create new employment opportunities and whole new industries by lowering costs and other barriers to entry, and removing geographical limitations. This will especially benefit cities by connecting them directly to global markets. To achieve these ambitions, cities must aim to become digital productivity hubs in their own right, leveraging cloud infrastructure, world class digital events, research skills, business architecture, community engagement, access to export markets and high quality digital production. They must also become renowned as a hot-bed for startups and as a magnet for inward investment. Action is needed at government level to define and deliver the environment within which this reputation can evolve. Capital cities are not necessarily the best at developing UDP’s. Regional cities are often quicker and nimbler and therefore better placed to respond to the opportunities presented by the digital economy. Ironically, regions are excellent at presenting a united front around sectors like tourism in the interest of external promotion while simultaneously maintaining a competitive internal market. Despite what we know about the value of the Internet economy, this still isn’t happening for digital. I am not aware of a role or initiative at any level of government anywhere whose sole focus is to deliver the Ultimate Digital Proposition. Individual initiatives which could form the basis of a homogeneous digital showcase are usually managed and implemented independently of each other. Governments tend to give responsibility for anything related to digital to their ICT Department. However this will not work in at least one critical area of the Ultimate Digital Proposition – attracting inward investment. Meanwhile Trade & Investment Departments usually do not have a deep enough grasp of digital to promote it as aggressively as they do other sectors – such as the aforementioned tourism. Providing the capacity for high-speed, high-volume digital transactions. Transforming existing businesses and building new ones that are born online. Positioning the city as a digital hub for investment and innovation. Creating enhanced quality of life through the delivery of public digital services. Infrastructure is an important element of a city’s economic development activity. In the digital age there needs to be a better balance between investment in digital infrastructure and physical infrastructure and between intellectual property and physical property. It follows that in a digital economy, achieving a more appropriate balance of investment across these areas will contribute to economic growth. Among the activities that can form part of this growth are educating businesses, leadership innovation, leveraging IPR from startups and supporting initiatives relating to knowledge creation. All digital initiatives currently being managed independently in a typical city may continue to be managed independently, but should be showcased together in support of the city’s holistic digital vision. Wherever possible deliverables of a digital nature should be announceables of the city’s digital strategy. City digital strategies are becoming increasingly enshrined in economic development plans not just in ICT strategies. In this way the development of the Ultimate Digital Proposition can maintain more of a customer-focused, commercial perspective and be more relevant to the economic development of the city than if it were managed inside the ICT Department alone. To oversee the development of its UDP, the city would need to appoint a full-time senior digital advocate, such as a Chief Digital Officer, as high up the organisation management structure as possible, ideally at Senior Executive level. This would have to be an appropriately resourced digital leadership role, developing the city’s digital strategy and overseeing its implementation, working not only with city officials but with senior stakeholders including Government, academia, technology providers, the business community and the start-up sector. The senior digital advocate role would reflect and embrace an emerging focus by the city on new thinking for the digital era, on the one hand within the city’s digital ecosystem where it would encourage the growth of e-skills, e-Government and e-commerce and support business, research and innovation, and on the other hand as a destination ambassador for the city, fronting its Ultimate Digital Proposition beyond the city walls by establishing and promoting the city’s global reputation for digital excellence. KIERAN O’HEA IP//DIGITAL Practice lead – Former Chief Digital Officer of the City of Brisbane. Formerly the first Chief Digital Officer of Brisbane. He led the development of Digital Brisbane, the five-year digital economy strategy for the city. Deliverables included the Brisbane Digital Audit, the Chair of Digital Economics and the Digital Brisbane strategy. In its first year the strategy engaged with 30,000 SMES and funded 25 start-ups. Previous achievements include developing digital strategies for the Irish Government and a digital capability framework for the European Commission. His work in this area also features in the UK Government digital strategy. Common Questions about Project Assurance, Answered. "Information Professionals", "Mark D Nicholls", "Project Assurance"
When we do Assurance work on Programs and Projects we sometimes encounter questions which reflect some misunderstanding of the role of Assurance. This is a few examples along with our answers. Q. The assurance team has the right of veto over key decisions such as go-live? A. No, this is highly unlikely. An assurance process only provides a report, which should include recommendations. It is then up to the accountable managers or groups to make decisions as it sees fit. Most projects do go live with some risk. It is up to the accountable managers to make well informed decisions on behalf of their organisation. The Assurance team helps them to be well informed. If, of course, the project is that much in bad shape that it shouldn’t go live, then the assurance team should make this recommendation. It doesn’t always mean that this recommendation is followed through on though. Q. The assurance team can impact on contract milestones and whether suppliers get paid? A. It is unlikely that this would happen directly, or that this would be a recommendation. If an assurance team was asked to comment on the achievement of a milestone, and a supplier had a payment linked to that milestone, then this could occur. But the accountable managers overseeing the project can always choose to ignore aspects of an assurance report, if they wish to. Q. The assurance team can provide opinions on your performance and potentially your tenure? A. Most assurance work is not about individual performance, but team or program/project performance. If you are concerned about this, you can always ask the team what aspects they have been asked to review. Q. The assurance team decides whether the project gets shut down or funded? A. The assurance team doesn’t decide these things, but could make recommendations which have a direct impact on these decisions. If you are concerned that the project may get shut down, or may not get funded there will be a reason for that. Ultimately the accountable managers will need to consider their options and make a decision. The assurance report will be an input into their decision making. Q. The Assurance team is like an auditor and will report non-compliance? A. It depends on the type of assurance requested as to whether it has a strong compliance focus or not. Where there are defined standards or processes not being followed, they will likely be reported upon if they are material to the overall findings. Q. 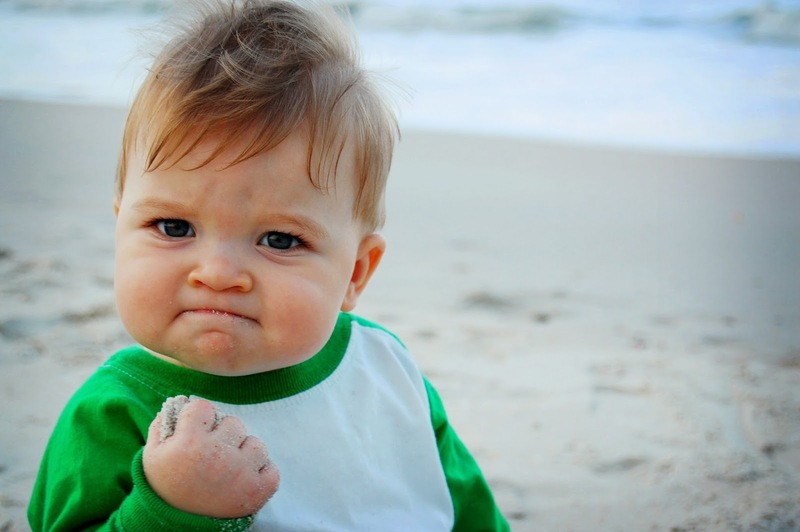 Is it mandatory to turn up to an assurance interview? A. That does depend on your organisation, but it is normally accepted practice. You have been selected for a reason. If you do choose not to attend, it will depend on the organisation and the Program/Project Sponsor and potentially on your boss as to whether there will be any ramifications. It can also provide some insight into the team work on the program/project if some team members don’t want to attend an assurance interview. Q. Is it mandatory to provide requested documents/deliverables? A. If there is no apparent reason to withhold access then this won’t go down well, as it kind of wastes everyone’s time. If you feel you have a good reason for withholding access, then you should let the Assurance team know, seek direction from the Sponsor or your boss, and then comply accordingly. If the Assurance Team can’t get access to some documents for a variety of reason than this would be reported upon and it may change the complexion of risks and issues reported upon. Founder and Managing Director. He is one of the most trusted IT management advisors in Australia, and has managed, advised or reviewed some of the most complex IT and Change Management projects in Australia.